The word pathology originates from the Greek words pathema meaning disease, and logos meaning study. A pathologist studies the nature and cause of disease by diagnosing abnormalities in tissue or bone. Medical clinicians depend on precise and timely results from pathologists to accurately diagnose and treat a variety of patient diseases. Why might I receive a bill from Piedmont Pathology when I have never even been there? 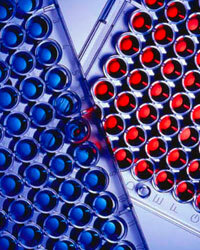 Your specimen could be referred to the pathologists at our laboratory for evaluation. 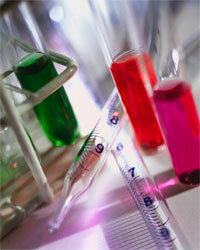 If so, our pathologist will prepare a detailed report for your physician so he can treat you. Piedmont Pathology accepts most major medical plans and will file a claim on your behalf. You are responsible for all deductibles, co-pays, and out-of-pocket expenses required by your insurance carrier.If you have questions, please call our office in Hickory at 828.322.3821. Or you may call toll free 888.339.8147. 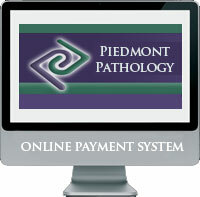 Piedmont Pathology offers a flexible payment plan to fit any budget. We do not charge interest or late fees on monthly payments or payments made online. To make your payment on this website, click here. We accept personal checks, money orders, and all major credit and debit cards. You may call and discuss your situation with one of our helpful billing specialists and create a payment plan that is best for you.